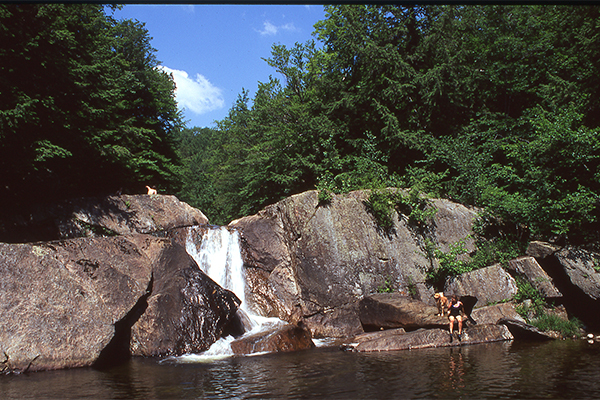 This waterfall is one of several classic swimming holes in southern Vermont. 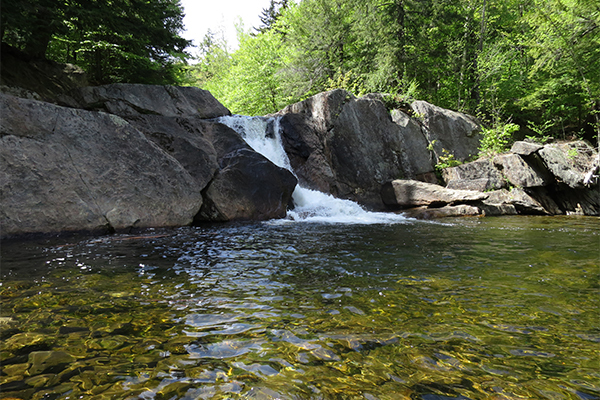 There is a large pool below both the middle and upper falls, each being deep enough for complete submersion. 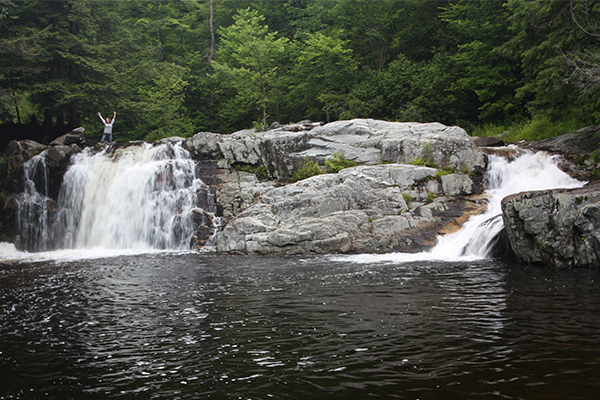 The 20-foot tall middle falls drops into a deep 25-foot wide pool of clear, olive-green tinted water. There is a ruggedness to the middle falls that is noteworthy. The upper falls, sometimes called Bridal Veil Falls, is a segmented horsetail, with the right fall being the predominant one. The left horsetail is only strong during the spring or after heavy rain flow. In general this horsetail is more steep and slightly taller, being 15 feet tall, whereas the right horsetail is about 12 feet in height. 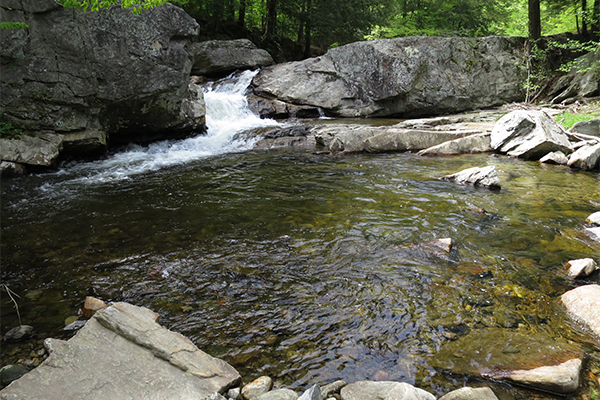 Both streams of water flow into another large swimming pool with clear water and a pebble-covered bottom. 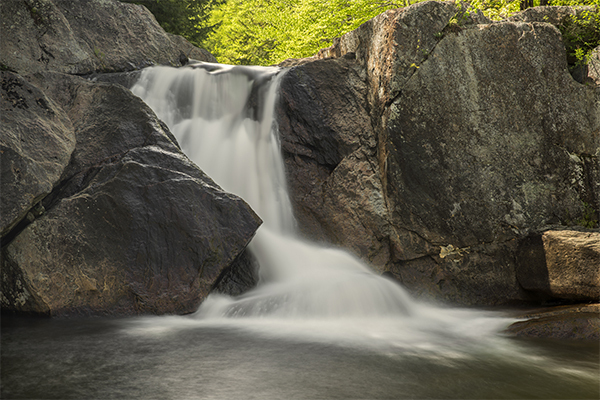 These waterfalls should be visited both in spring and later on in the summer, as you will experience two different personalities of the falls. 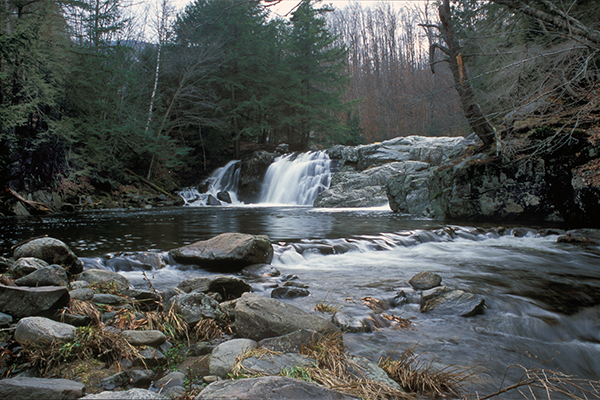 The lower falls, a set of cascades 8 feet tall, lacks the standout pools offered by the falls upstream; however, these falls are considerably less crowded than the other falls above.